Location: Situated above and some 125m NW of Mwnt beach under Foel y Mwnt. 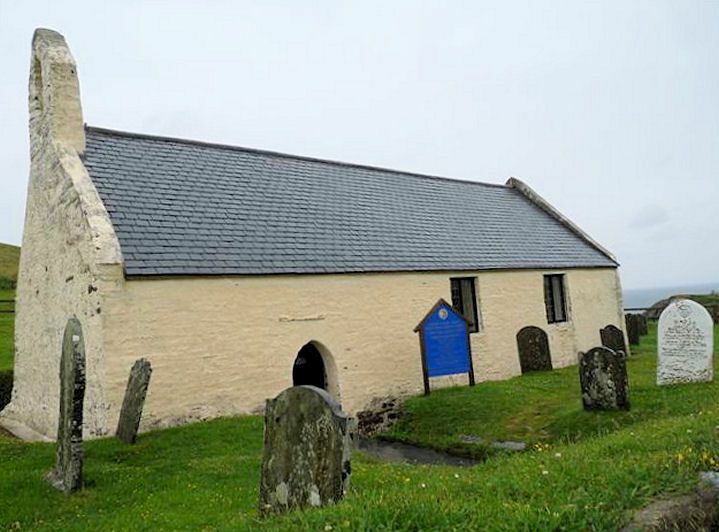 Rectangular church yard of C13 church surrounded by rubblestone based embankment eroded on N. Rendered outbuilding with imitation slate roof in SE corner. Entrance through two rounded and whitewashed rubblestone piers with iron spear-headed gate. Listed for group value with Church of the Holy Cross. Situated in an isolated position between Gwbert and Mwnt some 500m inland.